“It’s high time that refugees are seen as partners in development efforts, rather than a burden to society." 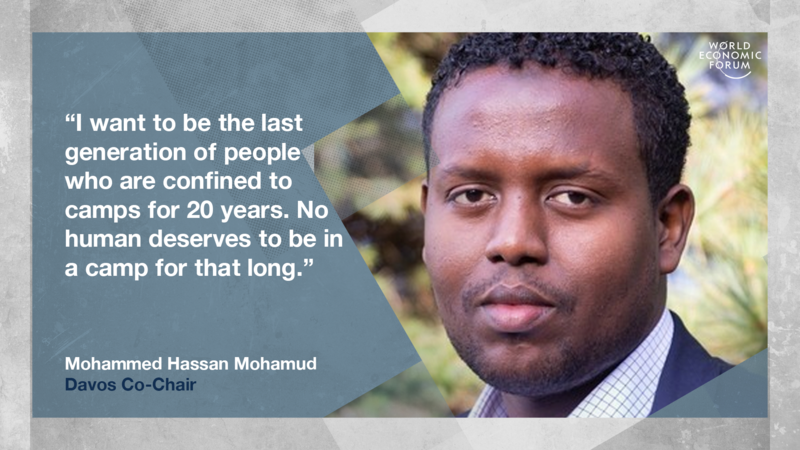 Mohammed Hassan Mohamud has never seen snow. But this week, the deep drifts that sit like thick icing atop the Congress Centre will become familiar as he takes up the role of Co-Chair at the World Economic Forum’s Annual Meeting in Davos. It’s something of a miracle that Somalian Mohammed has arrived here at all, since, as a refugee who has lived in Kenya’s Kakuma camp for the last 20 years, he has no passport, no official date of birth and has never been anywhere outside the semi-arid climate of Sub-Saharan Africa. His strength of character has brought him this far and given him the opportunity to put refugee rights on a global stage - and reframe the way we think of and engage the world’s displaced people. “We have more than 60 million displaced people around the world,” he says, speaking from Kakuma before Davos. “I want to be the last generation of people who are confined to camps for 20 years. No human deserves to be in a camp for that long, it really messes with your head. At 28, Mohammed is the youngest Zonal Chairman at Kakuma, which was established in 1992 after the arrival of the ‘Lost Boys of Sudan’. These were about 20,000 children, mostly boys, who were separated from their families during conflict, trekking enormous distances to find refuge. 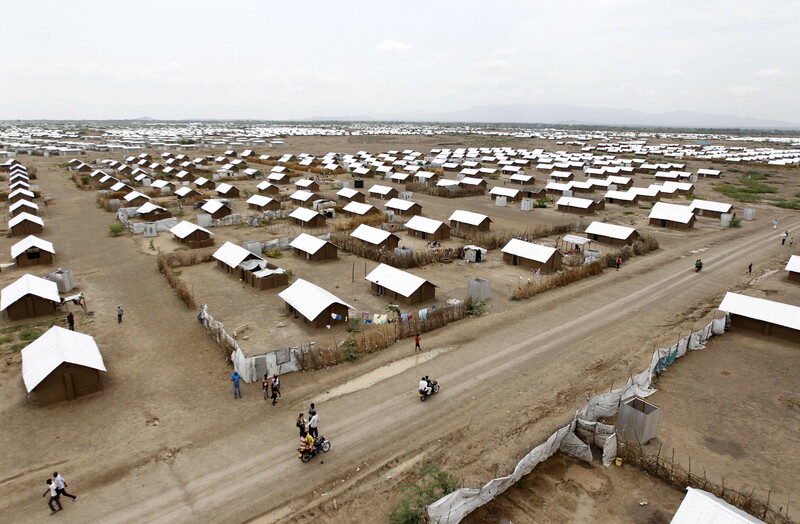 At the end of November 2018, Kakuma camp and Kalobeyei Integrated Settlement had a population of more than 186,000 registered refugees and asylum-seekers, according to the UNHCR. Mohammed oversees the subsection Kakuma 1, representing more than 20,000 people with nine different nationalities, in the oldest and most populated part of the camp, ensuring that all the services are running smoothly, with “teachers in the classrooms and water in the taps”. 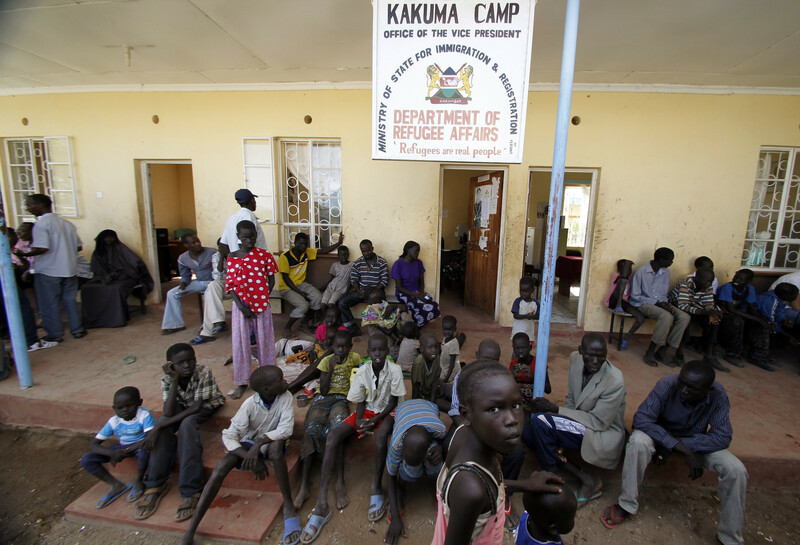 Many people in the developed world, and even outside the camp in Kenya, view providing Kakuma’s inhabitants with the physical, day-to-day necessities of life as paramount. But the real and often unseen problems, according to Mohammed, are often psychological. “We have adequate water. And obviously, it’s not enough, but it’s there. Like one tap. Our homes are made of iron sheets. We also have some services, access to medical facilities and the World Food Programme provides rations once a month. “But what I deal with is mainly psychological. People go crazy sometimes. Often, when outside people meet refugees, they only look at the physical suffering and the physical need. ‘This person is injured, this person is hungry or homeless’, and that’s solved by donating food or giving shelter. “But 5, 10, 15 years down the line, the needs change. It’s not about hunger now - it’s more than that. It’s about finding a home. It’s about identity. And that’s what causes problems. And that’s what I deal with myself also,” he admits. “You stay here for 20 years, you become dependent on food rations. You become comfortable with handouts. And then you lose any sense of self-worth and dignity. And then slowly, slowly, these environments become your default settings and then you can’t function in other places. Mohammed was born in southern Somalia, in the midst of a civil war. His parents were from different clans and because his father was the member of a minority, he was attacked and killed. His mother fled to Kenya with one-year-old Mohammed and they were placed in Utanga refugee camp, outside Mombasa. One of his earliest memories is of flames, as the camp burned down. The family was relocated to Kakuma and his mother made a living baking and selling bread and vegetables. Over the 20 years he has lived there, Mohammed has seen Kakuma change and grow, from being a little camp with few people to one that’s crowded, but also offers opportunities. As Zonal Chairman, he meets with the UNHCR and the Kenyan government to make sure enough support is being provided, but he also works with the LWF Peacebuilding Unit to prevent conflict within the camp. There is also conflict between refugees, mostly over the scarcity of resources: with people sometimes fighting at the food distribution centre and at the water tap. “We need to resolve these things before they escalate because it's like a matchbox. Everyone here is stressed. So you sit down and just talk to them,” he says. “Every single day, you wake up and it’s a fight. ‘Should I get up?’ When everyone around you is drowning in their misery, it’s easy to give up. It was his mother’s death from heart disease in April 2017, that acted as a “wake-up call”, compelling Mohammed to start studying and become a leader, so he could shape the future for his seven siblings. “I’m the first-born and I have this responsibility, so I had to step up. 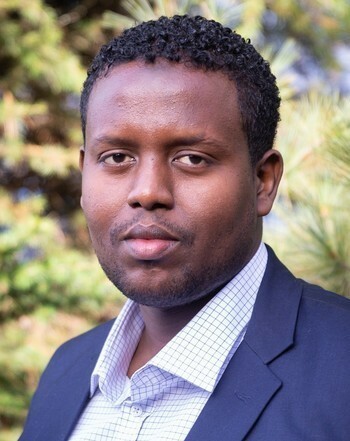 Universities have set up hubs at the camp and provide long-distance learning, so Mohammed is currently studying for a liberal arts diploma through Regis University, based in Denver, Colorado. And he believes access to education is vital for the refugee community, to give them the tools to pursue their dreams. Through the University of Geneva, he also took a course in global history, and got full marks, which attracted the attention of Princeton - and they offered him a conditional scholarship. But, after the “humiliating” experience of being pulled out of line at the exam centre in Nairobi for not having valid documents (“I had my ration card with me, I don’t have a passport”), even though his name was on the list, he unfortunately failed to achieve the SAT grades needed. While his treatment in Nairobi reaffirmed his feeling that refugees are often “dehumanized”, it hasn’t put him off wanting to achieve his goals of completing his education and returning to his home country as a leader. With the Davos theme this year being Globalization 4.0, Mohammed is convinced refugee camps like Kakuma can play their part in achieving a sustainable future for all. But only if the developed world rethinks its approach. “When people hear the word ‘help’ or ‘support the refugees’, they automatically think of giving out free things. But I think people need to be told that we have labour, we have brains, we have talents. So let's make use of refugee ideas. “Because we live in a semi-arid climate, sometimes myself and other people in the camp focus on highlighting alternative sources of energy and environmental protection. We have lots of sunlight here. We have so much dust in the wind. So we ask ourselves how we can harness that power of the elements and maybe produce energy.